I am drawn to the most unlikely t-shirt ever - the holey tee. While they are in no way religiously "holy", they are holey in my book. Way back when, I purchased Iro's Clay tee in black and fell in love with its loose fit. I'm one of those people that never passes up a good thing, so naturally I bought it in white as well. Recently, I saw that American Eagle came out with their own version of the holey tee for the reasonable price of 20 dollars. I decided to buy the tees in a larger size so that they fit a little longer and baggier on me. 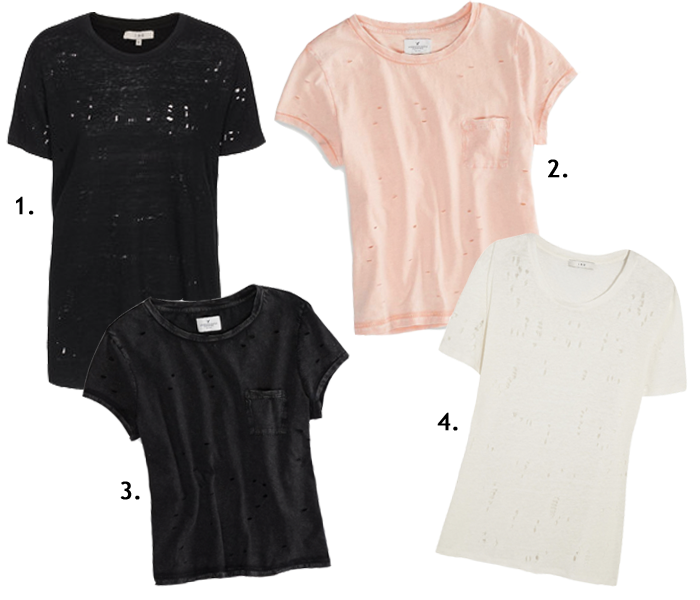 I am very happy with my ever expanding holey tee collection. I'm thinking a good holey T is nice ventilation for those scorching summer days in the city. @norbyah it definitely is! they're also surprisingly good for layering in the winter as well.